Kim Clement, Johnny Enlow and BCN: "Gold Treasure, California Gold Rush and the Word 'Gold'"
3. 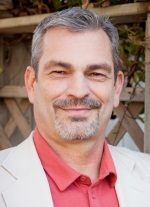 Kim Clement: The Name and the Word "Gold"
1) Prophecies recorded and transcribed from modern-day prophets. 2) Local and national news stories. 3) Promises and passages from the Bible including what Bible prophets of old had today. Like the "noble Bereans" who searched the Scriptures to see if these things are so... Then we too, in today's world, research what modern-day prophetic "voices" are saying, often cross referencing recent prophecies with local and recent news stories. Today, examining what God is saying, we're doing all of the above. You'll read below a mix of news stories about Gold discoveries coming out of California RIGHT NOW and the reporters references to a second gold rush. Then, we went back to July of 2013 to repost below prophetic words by Johnny Enlow, who literally prophesied about Gold being rediscovered in California. 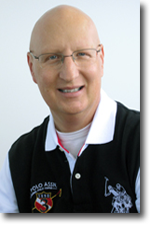 We've even included a prophecy from this last weekend by Kim Clement, also down in California, in which he mentions "gold" and even potentially a person with possibly the word "Gold" in their name – having something to do with future leadership in the nation. At the very least, these are very interesting things. But if they are more than trivia, and I believe they are, we are seeing both literal and symbolic prophecies coming true...even in California's local news! "...it was a very surreal moment. It was very hard to believe at first. I thought any second an old miner with a mule was going to appear." According to reports, the drastically decreased water levels have exposed areas previously untouched by prospectors, and in some cases, the conditions have yielded some significant results. 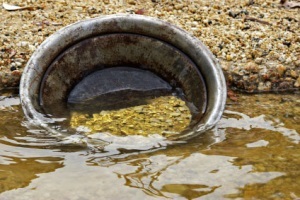 Kevin Hoagland, with the Gold Prospectors Association of America, noted that the numbers of those panning for gold (in California) have increased lately. "A lot of time you would just see a husband. Now you're seeing the whole family out," said Hoagland. Could it be another great Gold Rush like that of 1849? In another gold-related story reported in recent news, a California couple made an unbelievable find on their own rural Sierra Nevada property, last spring, while walking their dog. They dug out the can and were shocked to discover that it was filled with mint-condition gold coins. Returning to the site, they found seven more cans, also filled with the valuable coins. 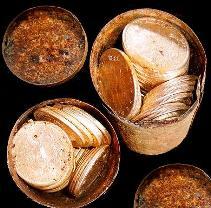 The gold coins date back to the mid to late 1800s. And when the couple finally had them appraised, the total value of the buried treasure in their yard was estimated at $10 million. John and Mary were asked in the interview, what they would do with the coins, and if the remarkable find would change their lifestyle. Said John, "No–we're self-employed–the beautiful thing about self-employment is that you can go to your grave self-employed." Mary answered, "Whatever answers you seek, they might be right at home! The answer to our difficulties was right there under our feet for years. Don't be above bending over to check on a rusty can!!!!" "Another Gold Rush - I Will Release and Reveal Gold..."
"There will be another gold rush and it will astonish the experts. I will release and reveal gold in places where it is assumed there can't be gold. I will economically rescue you with My kindness and you will even be used to economically rescue the nation. I still have 90% of California's treasure hidden for such a time as this. Even the desert will bloom and will reveal unexpected treasures. "I will invade the 5 (I-5) and spill over into the cities. I will release My wind into 101 and will release life through it. What was formerly US 66 will be a place My angels will walk and release treasures and presence. I will not be detained as I now have sufficient agreement to act. There will be a great turn around and you must be prepared to cooperate with it. "I hear the questions many of you in California are asking. You are saying, 'How can there be another Gold Rush? Even if the gold is there, it is now too cost prohibitive to go after it. Environmental restrictions make it too economically unviable to even attempt to mine the gold.' Some of you think either there is no more gold or it can't be accessed, I tell you that I, THE LORD, am the ultimate expert on these matters and you are wrong on both of these. "The Golden State is still full of Gold AND I am going to make it worth your mining effort. I am going to entice you into treasure hunting with Me. As I told you in the Scripture, "The Kingdom of God is like a treasure hid in the field" (Matthew 13:44) – the objective of advancing MY Kingdom is all about experiencing a proper treasure hunting dynamic. I am going to teach you by what I do in California. The field there has treasure, and if you will join in My adventurous ways, you will be invited to experience joyful discoveries of secret treasures. "There is an underground "Fort Knox" in California that is worth trillions of dollars. It is in the 120-mile long section called 'The Mother Lode.' There is a vein of gold so thick and solid that the treasure does not need to come 'out of the field' to be valuable. My Kingdom is like a treasure hid IN THE FIELD. It does not need to be separated from the field to be made valuable. "Even as you, My golden sons and daughters, do not need to be separated from your 'field of dirt' and challenges to be valuable, even so, there is a new way of discovering and classifying this gold that is to lead to a new economic reality for California, for America, and even the world. 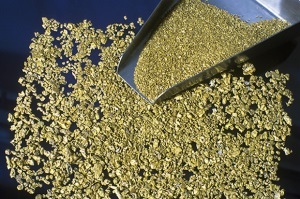 This gold does not need to be mined to be considered an asset. It is an asset whether you separate it from the rock and soil or not. I have released the technology so that this gold vein's existence can conclusively be identified. It is as if there were an underground Fort Knox and it is so secure that you don't have to worry about guarding it. "As a state and as a nation, under present economic precepts, you are permitted to print money that is backed by that asset. I am a real and practical God. There are Josephs that I am giving the plan to on how to move this forward contractually. It doesn't need to be complicated. Your age of restoration is upon you and I will not allow the enemy to destroy the world economy. Yes, of course, he is always trying to do this and yes, he uses wicked and selfish men. He comes to steal, kill and destroy. I come as the Desire of the nations and Mine is the silver and Mine is the gold. I always have a plan to trump what the enemy would desire. "My children, I ask you to cease focusing on his conspiracies and turn your attention to Me and what I make available to you. You can either be driven to immobilizing fear – by attention to the wicked and their conspiracies – or you can ask of Me the nations as your inheritance. You choose. My treasure, My Kingdom, is everywhere, and I will make an example in California that will testify to every tongue, tribe, and nation. I am bigger than your giants and I will stun you and the nations with My goodness." "Furthermore, I am releasing gold at multiple levels even in California. I have shallow gold, mid-level gold, and deep gold. You will hear of discoveries in all depths. Rivers will flood and reveal new gold rushing possibilities. It will be in the water, it will be in the sand, it will be in the rocks, it will be in the mountains, it will be – Men will dig in their back yards and discover gold nuggets. 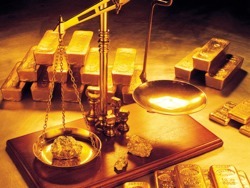 "Gold will be discovered in your sand that you will better know how to separate and extract. I will release 'gold equivalent' in your sands and in your deserts. There are 7 'golds' that are already in your sands and in your deserts. These are 'gold equivalents' whose name would not mean much to you at this point. Gold will be found everywhere. It will be in the water, it will be in the sand, it will be in the rocks, it will be in the mountains, it will be hiding in plain sight, it will be hidden in not so plain sight. "California, it is time to play Treasure Hunt with Me. I am inviting you on an exhilarating wild adventure that will be full of ME. I will make you again the Golden State and it will speak to you and all – the reality, that I have undiscovered treasures everywhere. I am going to develop in you treasure hunting skills so you can discover what I have hidden in nations, in cities, in families, and in individuals. I am inviting you to find ME, the Pearl of great price, everywhere you go. Cease to be distracted by the field and know the treasure is IN THE FIELD. "The whole earth is already filled with My glory/treasures, and I need a people who can joyfully find and reveal this glory. Again, I tell you, that I am Who the nations desire and the silver and the gold is Mine. So are the cures for every major illness. So are the new energy forms. So are the new better ways of doing everything. My ways are treasures to be discovered and they are the better way of doing everything. You can find Me in government, in education, in media, in arts and in all of life. It is a treasure I have to offer the nations and you must begin to seek for these at this time and cease to analyze and validate the giants in the land. "ALL giants are designed to be bread for you, but you must carry a treasure hunting-spirit rather than a giant-hunting spirit. Whichever you look for you will find. Did I not cause for even gold dust and specks to manifest in your meetings and on your hands and on your faces when you searched for it while enjoying My Presence? I am asking you to expand that same dynamic into society itself. I can make gold show up anywhere – even if it wasn't there before. That is the lesson I taught you in your Glory Meetings. Now look for it and experience it everywhere." "And I am asking to you to do this joyfully. 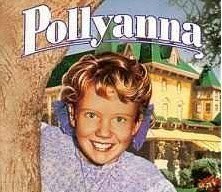 I am asking for My army of Pollyannas to arise. I am asking you to carry a contagious GLAD spirit. This is the kind of GLADiator I am looking for in this day. Your mortal enemy is hopelessness, anxiety, and fear. Be anxious for nothing. Fear nothing. Be My golden gladiators. You be My treasure that is hidden in the field of the nations of the world. "In turn, you then discover even new hidden treasures in what you assumed was all dirt. I have a treasure to be desired in every nation, every city, every family, and every person. I am asking you to TREASURE HUNT WITH ME. I am going to turn around California, the forerunner state, and you will know that I can do this anywhere and everywhere." 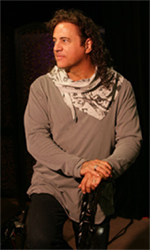 Johnny Enlow is a social reformer, international speaker, spiritual mentor, and author of The Seven Mountain Prophecy, The Seven Mountain Mantle, and Rainbow God. He and his wife Elizabeth are focused on awakening individuals to their call to provide practical solutions from the heart of God for every problem in society- until the real God of all of life is displayed in the 7 primary areas of culture in all nations: Media, Arts and Entertainment, Government, Family, Religion, Economy, and Education. The Spirit of God says, "My people have cried. My people have cried out for an answer, and this is what I have to say," says the Spirit of Life. "A veil has been placed upon this nation, and I did it. I did it so that for a season My people would wonder and faith would increase, for in darkness faith grows. In despair, faith grows. I did it. But now My fury has ended. Hear Me, for I have found a man after My own heart. I have found a man after My own heart, and he is amongst you. He is one of the brothers, but singled out for Presidency of the United States of America. "But hear the transcription of God upon the heart of His prophet – how the gold has become dim, the stones of the sanctuary are scattered at the head of every street. The precious sons of Zion, valuable as fine gold, are now regarded as clay pots; and those who ate delicacies are desolate in the streets; and those who were brought up in royal scarlet now embrace ash heaps. "Is this what I wanted? My people were brighter than snow, whiter than milk. They were like sapphire in their appearance, and now they are stricken for lack of fruits in the field. The hands of once-compassionate women have cooked their own children, and their children have become food for them. Your children have become food for you who were once compassionate women. "But My fury is fulfilled," says the Lord, "and I have now kindled a fire in Zion. I have kindled a fire in Zion, in America, in nations throughout the earth, and My fist is about to smack down on Russia; for out of the rebellion of the Ukraine, which was seen by My prophet, shall come out of those ashes, beauty – shall come out of that sadness, joy – shall come out of those garments, praise," says the Lord. "I have searched for a man and a woman who would stand in the Oval Office and pray and call for the restoration of the fortunes of Zion. I have looked for a man who would pray for the restoration of the fortunes of Zion. Therefore, if you hear My heart," says the Lord, "today, I will take you on a journey. "I will first take you to Israel, whom they would give Jerusalem to his enemies. Why would they give half of Jerusalem away? This will not happen," says the Lord, "for I will take you on a journey today into Jerusalem, where it shall be prophesied through song by My prophet what I intend doing in Jerusalem and in the United States of America at the same time," says the Lord. "I am restoring the fortunes of Zion. I am restoring the fortunes that were the inheritance of My people. I am restoring the fortunes of those that are the elect of God and have been stolen from. You shall eat your delicacies again, and your children will no longer be your food. You shall not use them and take them out of the womb anymore," says the Lord. "Watch how I change everything, for there shall be those who are in justice. There are those who are in a strong position" – I'm just hearing this now – "in the highest court in the land – the Supreme Court. Two shall step down for the embarrassment of what shall take place, for I wish to place in the highest court in the land, righteousness. And they shall attempt to put others in to endeavor to reach their endeavors, but," God says, "hear Me tonight. Hear Me today – I have this whole thing planned out according to My will, for it is now time for Me to restore the fortunes of Zion – the fortunes to those that had it once, you are going to get it back. This is My promise," says the Lord of Hosts. This man has stood in Jerusalem. This man that I saw in the vision, a man that came out of a vision, please hear me. I was standing in my garden. Suddenly the Spirit came and removed from my eyes, scales. I was praying for America, and I was praying for Israel – nothing unusual. Suddenly behind me, starting behind my back, going in the form of an arrow, were hundreds of thousands of people. And I turned around and I was stunned at what I saw. This was not just a mere dream, but this was a vision. And so I raised my hand like this and every one of them raised their hands. I looked back and they were doing the same thing. I shouted and they all shouted. They were one. They were one, one party. One party of people. It continued until I realized that in the unity of these, amongst them stood one that God had set aside to be the leader of this nation. I said, "Why am I hearing this so soon? Surely You would show me a little bit of it closer to the time." And the Spirit of God said to me, "This man has a humble stature, but he is a genius." And then I heard, "Gold." I wasn't sure if this was attached to his name, but He said to me, "He will restore the fortunes in this nation because of his brilliance." I couldn't quite see his face, because that was not allowed, because there was a mist that covered all the people, and he was amongst them. And the Spirit of God made me look at him, and He said, "This man will throttle the enemies of Israel. This man will throttle the enemies of the West. And there are highly embarrassing moments that are about to occur for many, many politicians in this nation. There will be a shaking amongst the Democrats in the upcoming elections, but unsettling for the Republicans." Why is God doing this? "For," God said, "I am dissatisfied with what emerges from both parties." And then there is a nation, He showed me, He took me, itching for a new kind of war with America. "They will shout, 'Impeach!' 'Impeach,' they say, but nay. This nation shall come very subtly, but he shall not come in the time of President Obama. They shall come when this new one arises, My David that I have set aside for this nation – a man of prayer, a man of choice words, not a man who is verbose, who has verbosity, who speaks too much. They will even say, 'This man is not speaking enough,' but," God says, "I have set him aside. They will shout, 'Impeach! Impeach!' but this shall not happen. "And then," God says, "highly embarrassing moments when another Snowden arises, and people will become very afraid. They'll say, 'We have no protection.'" And then, God says, "Am I impressed with your weapons of war? Am I impressed with the strength of your men's legs? Ha! I have said I will bring this nation to its knees, and," God said, "you have been humbled, and yet some more, and then you shall hear the sounds of great victory. For where are the people gathered? Where are My people gathered? Where is the sound of unity from My people? "I have placed that man amongst you, a humble man. And as Samuel stood before the brothers, and they had rejected David to come because of his age" – take all these little remarks I'm giving you – they are gems. The name and the word "gold" – remember that. A man that is amongst them, but is young. And God says, "These that shall reject him shall be shocked at how he takes the giant down." Now hear me, please. 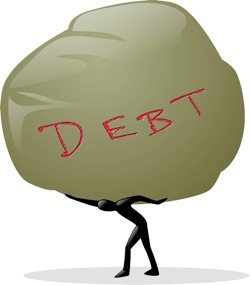 The giant of debt, the giants that have come, the brothers of Goliath, stand in glee watching America. "We will cripple you. You will lose your credit." But God said, "Watch. I said 20,000. Look not to Wall Street; however, observe. And they shall say, 'What is your plan for this giant?' And he will take a simple stone," (remember the name), "and he will hold it up and they will laugh at him, but the plan is so brilliant," says the Lord. "It could only have been given by Me. "California, you are dying because of a drought. Watch My sign, watch the sign of rain; for I told you there would be severe wind from above, and all the states that are affected by this severe weather have been set up for a shaking of My Spirit and an outpouring of My Spirit. But, California, I am looking at you. 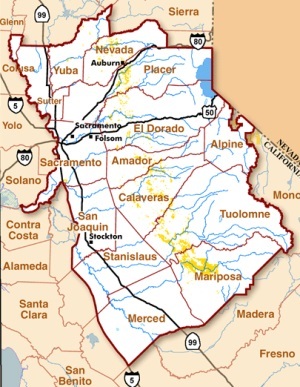 "Gold – stone – California, and small of stature. And," God says, "once you recognize the man that I have raised up, pray, for the enemy will do everything in his power to put a witch in the White House." Did anybody hear what He just said? "For Jezebel has chased away the prophets, and even Elijah. Now I have said, go back, for this shall be dismantled so that there will be no more corruption in the White House," says the Spirit. "America, freedom is yours in the Spirit! Israel, freedom to reign! America, righteous judgment and a great shaking of the Spirit in America!" The Spirit of God says, "One more thing I want to talk to you about – that little dwarf in North Korea. I'm getting a little tired of him. I think I'm going to go and pay him a visit," says the Lord. "You watch and see what I do, and that will be a big sign that the man that I'm sending with the stone for the giant is emerging," says the Lord.